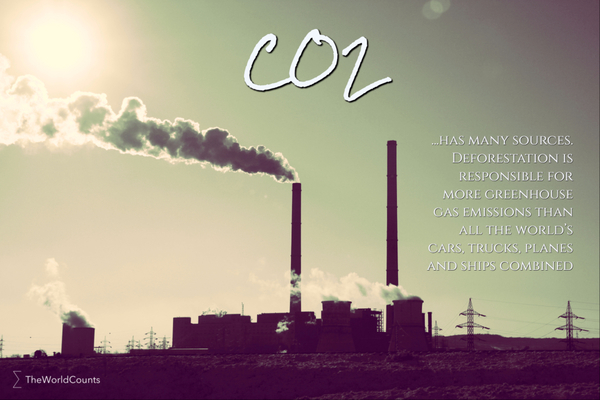 There are many other, and stronger, greenhouse gases than CO2. By 2030, all these emissions could grow by 34 percent - or what would correspond to a total of 57 billion tons of CO2. …deforestation is responsible for more greenhouse gas emissions than all the world’s cars, trucks, planes and ships combined. What about 'cap and trade'? One of the solutions put forward by governments is CO2 emissions trading (also known as 'cap and trade'). This is not a perfect solution as the video below illustrates. The world emits about 33 billion tons of CO2 a year. Interested in more facts like the co2 emissions? Then plug in and subscribe to our newsletter.